If you, a family member, a neighbor, or a friend, are seeking a job, the U.S. Postal Service is accepting on-line applications for MAIL HANDLER ASSISTANTS (MHA) in several zip codes in the Greater Michigan District at a salary $13.75 per hour. Work hours and Non-scheduled days may vary based on need. Mail Handler Assistants perform a variety of duties to support the day to day operations of the U.S. Postal Service. 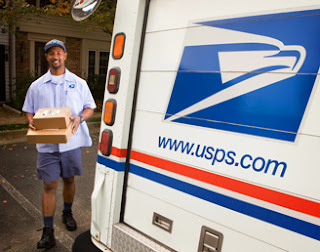 Through March 18th 2013, you can apply for this position online at www.usps.com. Click on Careers at the bottom of the page and then click on Search for Michigan and input "Mail Handler" for a list of jobs. 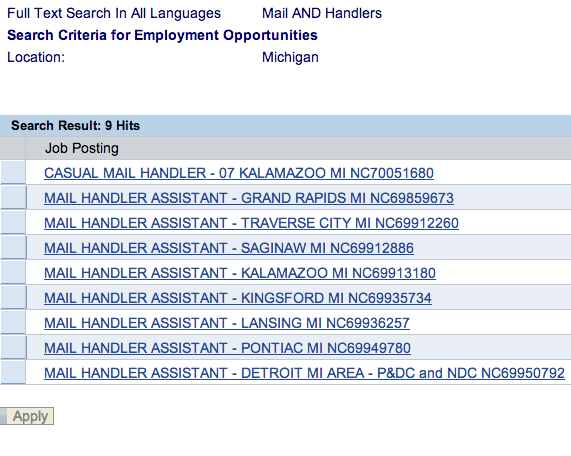 I just did a search online at the USPS website and found 9 job openings (see above) in Michigan, including two in the Metro Detroit area. 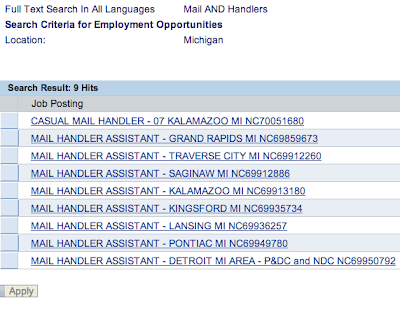 Here is direct link to the Mail Handler Assistant Job listing at the Fort Street and Allen Park offices. ALL applicants must apply by the close of the job posting period — 11:59 p.m. on Monday, March 18, 2013. Paper applications will not be accepted. A written exam is required — Postal Exam 473. Instructions regarding the exam process will be sent via email once the candidate successfully submits an online application. Qualified applicants must successfully pass a pre-employment drug screening to meet the Postal Service’s requirement to be drug free. Applicants must also be a U. S. citizen, a lawful permanent resident alien, or a citizen of a territory owing allegiance to the United States.